Are you a boss or a coach? Everyone is looking for a secret answer to recruit and retain talent in the face of a serious labor shortage. One answer is to understand and react to the expectations of a new generation of workers. The millennial generation, followed by iGen or Generation Z, is changing the way organizations and industries do business. Our industry is no different. The reality is millennials have more options than previous generations did. They don’t need to put up with what my generation had to in the workplace. Baby boomer and Gen X workers were more accepting of a bad boss. The boss was often in a bad mood, barked orders and only appeared when things went wrong. We didn’t like our bosses, and we sure didn’t want to have them involved in our daily work. In fact, the less we interacted with our bosses, the better. Those days are over. Today’s boss is expected to be a coach. For many supervisors, the concept of having to coach an employee is completely foreign because it’s a totally different approach than what they experienced coming up through the ranks. It doesn’t come naturally, and it’s a bit strange. For these supervisors, it will require some effort and training to become a good coach. For other supervisors, coaching is second nature. They are wired to be engaged, present and to offer positive and constructive feedback on a daily basis. They were born to be coaches and enjoy the ongoing relationships they have fostered with their people, who are more like family than employees. Either way, this concept of coaching is sweeping the business world. The idea is that everyone wants a coach. Everyone deserves a coach. 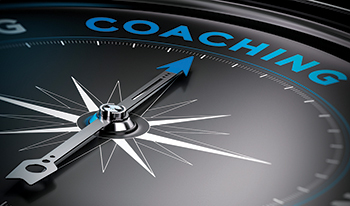 Employees without a coach will move on to another employer that values coaching. Honestly, I think this trend is a game-changer. Over the last 30-plus years, I’ve rarely had a boss whom I would have considered to be a good coach. As a baby boomer, it never occurred to me that this was a problem or that it held me back. But looking back on my career, I would have loved to have had a coach who was guiding me and pushing me to be my best. I wonder how much more I could have accomplished in my career, how many bad decisions I might not have made and where I would be today if I’d had a coach. Think about it. Every professional athlete has at least one personal coach, in addition to the position coaches, coordinators and head coaches. Every accomplished musician has spent thousands of hours with a private music instructor — his or her coach. Every master tradesperson toiled for years as an apprentice under the wing of a skilled craftsperson. Coaching brings out the best in people. Many supervisors today have the wrong idea about coaching millennials. Based on false information, they mistakenly believe that they need to be soft with millennials. The opposite is true. The worst coach is a soft coach who avoids tough conversations and who just wants to be everyone’s buddy. In fact, that’s not a coach at all. Millennials want to develop and grow. To do so, they want a coach who is tough and who will demand their best efforts. They want a coach who will not accept lame excuses and will not coddle them if they miss their goals. They want a coach who will help them develop professionally and help them achieve their goals. Being soft or being everyone’s buddy isn’t going to cut it. Millennials have options that my generation didn’t have. If they’re not being developed and growing, they will bounce. I don’t blame them. So would I, if I were in their shoes. It’s time to invest in coaching on two levels. First, supervisors need to learn how to become great coaches. Like I mentioned earlier, some will struggle with this role, while others are already great at coaching. Second, employers need to provide coaching for their people — all of their people, not just the high-potential stars. Everyone deserves a coach. Some of you are wondering how you will find the time to implement coaching with all of your people. Some of you are questioning the return on investment (ROI) of coaching. I have two comments. First, if you don’t coach your people, you’ll have all the time in the world on your hands when your business has folded. Second, there is a wealth of data available about the value of coaching. If you truly are questioning the ROI, do your homework. You’ll discover very quickly that the ROI is significant. High Performance: What’s your company type?